After you've established the framework for your program, begin analyzing your database and identifying planned giving prospects. This is where data overlay can help you discover valuable missing information such as donor age. Then, draft a cultivation plan for these identified prospects and begin reaching out. 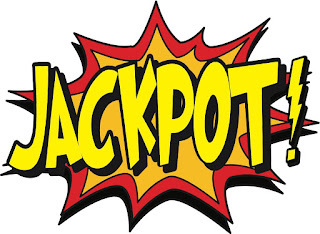 What is the best way to market our planned giving program? Add a lead generation line to your direct mail remit slips that any donor can simply mark to receive more information about planned giving. In your newsletters, add a space asking donors to remember your organization in their will or estate, and include planned giving stories and articles. List legacy society members in your annual report and on your website, and consider special recognition for this group at events. Create an area on your website dedicated just to your planned giving program. Take advantage of any time you can offer supporters the opportunity to request more information about planned giving. Informational letters and brochures can be used to respond quickly and efficiently to these inquiries. 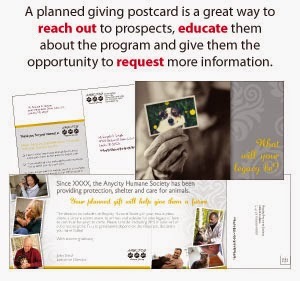 Postcards, mail packages and newsletters focused specifically on planned giving are great ways to reach out to your prospects, educate them about your program, give them the opportunity to request more information and notify you if they have already included you in their will or estate. Just like any donor gift, you need to make a strong ask for a planned gift. 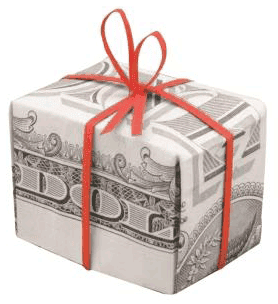 Educating prospects about planned giving and your program is the best place to start, but don't forget to actually make a strong, clear ask for the gift. And, with only 22% of people over the age of 30 saying they have been asked for a planned gift, that leaves a lot of potential future dollars sitting on the table. Show them the impact their planned gift will have on your organization and community, and they will want to leave a legacy for future generations. How long will it take for our planned giving program to generate revenue? 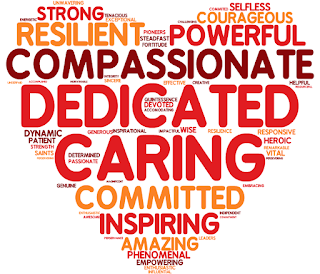 As previously mentioned, your planned giving program requires long-term support and commitment from your organization because it takes time and dedication for the program the mature. Initial profitability (or lack thereof) should not be the make or break factor in the early stages of your program. Your planned giving program is focused on building relationships and becoming part of the "family" when final or long-term financial plans are being discussed. This means making a case for how your organization will use planned gifts to advance your mission and benefit the future community and inspiring donors to take action. Plan on committing time to personally following up with and cultivating interested supporters. Review your program, at least once a year, with your board and staff, and identify areas for improvement. Evaluate your short- and long-term goals and objectives, budget and marketing. Identify what's worked for you as well as the challenges you've faced and ways you can overcome them in the future. If you start putting in the time and commitment now, you will build a strong, mature planned giving program that will continue to benefit and sustain your organization well into the future.